Cultural Front: What if poet Evie Shockley is a Sci-fi writer? What if poet Evie Shockley is a Sci-fi writer? A few weeks ago, I met with a 16-year-old high school student and her mother to talk about poetry. 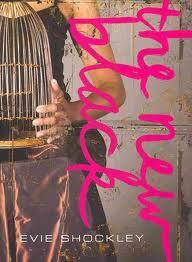 I had previously let the student borrow a few books, including Evie Shockley's the new black, and because the student enjoyed it so much, she asked could she keep Shockley's book for one more month. Let me get this straight: a high school student wants to continue to borrow a volume of poetry from me? Well, of course. We were talking about the poems in the book, and what fascinated the student most was that Shockley dared to move her words "all across the page." In the poems she had covered in school and on her own, she had never seen anything like that: a poet not sticking to the left margin. That feat made Shockley appear somehow otherworldly as a writer. How about the next time I'm in a position to introduce the new black to a young student, I introduce Shockley as a sci-fi writer? No, Shockley doesn't write about aliens and intergalactic travel, but there's still something far out about the design of several of her poems. And she's dealing with space, at least in terms of the arrangement of words on the page, in some fascinating ways. Perhaps the kind of mind that imagines robots taking over planets or assists humans fight alien rivals is the kind of mind that envisions novel and original ways of presenting words on the page. Maybe an inclination to produce intricately designed shapes using words reveals the technical skills and interests of a writer. When and if Evie Shockley -- an absolutely perfect name for a SF writer by the way -- shows up in the credits as a contributor to some movie about space travel, or when she publishes something that reminds you of Octavia Butler, or when you simply find a copy of the new black "mistakenly" shelved in the science fiction section of some used book store, remember where you heard the speculations first.